Draft: 2008, Boston Red Sox, 9th rd. Full name is Christian Rafael Vázquez. Married his wife, Gabriela, on 11/24/18. Signed by Edgar Perez (Red Sox). Graduated from Puerto Rico Baseball Academy High School in 2008. Made 66 starts at catcher in his 4th ML season...BOS went 46-20 (.697) in those games. Missed nearly 2 months of the season on the disabled list from 7/8-8/31 (right fifth finger fracture). Threw out 10 of 32 attempted base stealers (31.3%). Posted a 3.84 catcher's ERA, the 6th-lowest among AL backstops with at least 75 games played. The Sox went 11-2 (.846) in his 13 games with an RBI and 29-9 (.763) in his 38 games with a hit, including 20-1 (.952) from 5/20 on...10 of his 16 RBI came with 2 outs. Hit .382 (13-for-34, 2 HR) in PA ending on the 1st pitch. The Sox went 33-9 (.786) in his 42 starts at catcher from 3/30-6/14, including 13-0 from 5/20-6/14...In those 13 games, the Sox allowed only 28 runs. Hit all 3 of his HR and 4 of his 10 2B in June...In 17 June games, hit .298 (17-for-57) with an .860 OPS. Hit a game-tying HR in the 7th inning on 6/2 at HOU, knotting the game at 3-3 as the Sox earned a 5-4 comefrom-behind win. On 6/6 vs. DET, went 3-for-4 with a single, double, and HR, his 4th career game falling a triple shy of the cycle. Placed on the 10-day DL with a right fifth finger fracture on 7/8...On 7/10, underwent a pinning procedure (ORIF) of his fractured finger...The surgery was performed by Dr. Matt Leibman at Newton-Wellesley Hospital. Appeared in 4 rehab games between Double-A Portland (1 G) and Triple-A Pawtucket (3 G) from 8/27-30. Was reinstated from the DL on 9/1 and appeared in 20 of the Red Sox' final 26 games (12 starts). Scored his 100th career run on 9/5 at ATL, the 1st of 6 runs scored by the Red Sox in the 8th inning to tie the game at 7-7...BOS went on to win, 9-8. Appeared at 3B in both games of a doubleheader on 9/26 vs. BAL...Were his 3rd and 4th career appearances at 3B and his only 2 of 2018. POSTSEASON: Played 12 of the Red Sox' 14 postseason games...BOS went 9-1 in his 10 starts. Threw out 1 of 2 attempted base stealers. Hit a solo HR in Game 4 of the ALDS at NYY, becoming the 6th Red Sox catcher to homer in the postseason. Posted a 5-game hit streak from ALCS-G4 through WS-G4...Tied the longest postseason hitting streak ever by a Red Sox catcher (also Carlton Fisk in 1975, Rich Gedman in 1986-88, and Jason Varitek in 2003-04). Made his 1st career appearance at 1B in Game 3 of the World Series at LAD, switching to the position in the 12th inning and remaining there for the rest of the game...According to Elias, became the 5th non-pitcher ever to appear in a World Series game at a position he had never previously played, joining BOS's Patsy Dougherty (RF in 1903), WSH's Buddy Myer (3B in 1925), CHC's Stan Hack (SS in 1935), and NYY's Alfonso Soriano (RF in 2003). Caught the final pitch of the World Series, as Chris Sale struck out Manny Machado swinging. Made his 1st career Opening Day roster...Played in a career-high 99 games (85 starts at catcher, 2 starts at DH)...Earned the Unsung Hero Award from the Boston Baseball Writers. Recorded more runs (43), hits (94), triples (2), HR (5), and stolen bases (7) than he did in his first 3 ML seasons combined...Hit 18 doubles and recorded 32 RBI, doubling his career totals in each category. Led AL catchers with a .290 AVG (94-for-324), the 2nd-highest mark among ML backstops (min. 250 AB)...Since 1940, the only other Sox catchers to hit .290+ (min. 300 AB) are Jason Varitek (.296, 2004), Rich Gedman (.295, 1985), and Carlton Fisk (.293, 1972; .315, 1977). Threw out 19 of 48 attempted base stealers (39.6%), the 4th-highest rate among ML catchers (min. 20 G). Recorded 2 pickoffs...Caught a runner stealing and recorded a pickoff on both 8/4 vs. CWS and 9/25 vs. TOR. Finished 2nd in the AL with a .348 home AVG (54-for-155), trailing only Adrian Beltre (.362, min. 100 AB)...Marked the highest home AVG by a Sox catcher since Hal Wagner hit .350 in 1944. Hit .299 (23-for-77) with RISP, including .533 (8-for-15) with a 1.229 OPS from 8/28 on. Stole his first 7 career bases (7-for-9, 77.8%)...No other Sox catcher had stolen 7+ bases with as high a success rate since Carlton Fisk in 1973 & 1978 (7-for-9). Finished 2nd in the AL (3rd in the majors) with a .275 AVG with 2 strikes (47-for-171)...Marks the highest 2-strike AVG by a Red Sox catcher since 1988. Went 4-for-4 on 4/11 vs. BAL and 8/28 at TOR...Only 2 other ML catchers went 4-for-4 or better in a game all season (BAL's Caleb Joseph and Welington Castillo). Prior to Vázquez, the last Red Sox catcher with multiple 4-for-4 or better performances in a single season was Rich Gedman (3 in 1985). Stole a base in each of his 4-for-4 games...Prior to Vázquez, the last Red Sox catcher with 4 hits and a SB in a single game was Johnny Peacock on 9/21/38...No other ML catcher had such a game in 2017. Prior to Vázquez, the last ML catchers to record 4+ hits and steal a base multiple times in a season were Joe Mauer (2 in 2005) and B.J. Surhoff (3 in 1988). Had 5 games with 3+ hits and a SB, the most ever by a Red Sox catcher in a single season. Made his season debut on 4/8 at DET (1-for-1, 2 HBP)...Was the first Red Sox to be hit by a pitch multiple times in his season debut since Roxy Walters in 1920...Reached base in each of his first 7 PA of the season (5-for-5, 2 HBP)...According to Elias, became the first Red Sox hitter to reach base safely in his first 7 PA of any season since Ted Cox in 1977 (7 PA). Went 4-for-4 from the No. 9 spot in the order on 4/11 vs. BAL, his 2nd time doing so (also 9/25/14 vs. TB). Finished April with a .412 AVG (14-for-34), the highest AVG through April by an AL catcher since Ivan Rodriguez in 1998 (.446, min. 30 AB). Went 1-for-2 with 2 BB, a SB, and a game-winning HR on 6/27 vs. MIN, his first HR since 5/1/16 vs. NYY...Was his 3rd career HR, each of which was a tie-breaking 2-run shot at Fenway Park...Scored a run in a career-high 5 straight games from 6/27-7/4 (6 runs). Posted a career-long 14-game on-base streak from 7/25-8/21, batting .431 (22-for-51) with 12 runs. Reached base in a career-long 18 straight home games from 7/19-9/14...Hit .397 (25-for-63) with a .449 OBP and a 1.100 OPS over the streak...From 7/29 through the rest of the season, ranked 4th in MLB with a .346 AVG (46-for-133, min. 50 AB). Hit .400 (38-for-95) in 29 games from 7/29-9/16. From 7/29-8/3, became the 1st Red Sox player to record multiple hits in 5 straight games-all as a catcher-since Carlton Fisk in 1977 (6)...Had 5 XBH in those games. Recorded his 1st career walk-off RBI on 8/1 vs. CLE, turning a 10-9 deficit into a 12-10 win with a 3-run HR. Was the 2nd walk-off HR by a Sox catcher in 2017 (also Sandy Leon, 4/5 vs. PIT)...According to Elias, the only other season in which 2 Sox catchers have hit walk-off HR is 1995 (Mike Macfarlane and Bill Haselman). On 8/28 at TOR, went 4-for-4 with a HR, a double, and a SB...Was his 3rd career 4-for-4 performance, each of which has included multiple XBH. On 9/14 vs. OAK, tied the game with a solo HR in the 5th inning...Marked his 4th straight game with an RBI...POSTSEASON: Made his 2nd career postseason roster and 1st postseason appearances, starting Games 2 and 4 of the ALDS vs. HOU. Reached base in 4 of 8 PA (2-for-6, 2 BB), including a 2-for-3 effort with a run scored and walk in Game 2. Became the first major league catcher to reach base 3 times in his postseason debut since BOS's Jarrod Saltalamacchia in Game 1 of the 2013 ALDS vs. TB. Returned after missing the entire 2015 season recovering from Tommy John surgery... Appeared in 57 ML games and made 49 starts over a pair of stints with the Red Sox...Also appeared in 42 games with Triple-A Pawtucket. Threw out 8 of 23 (34.8%) attempted base stealers at the ML level. Began the season on the DL (retroactive to 3/25) recovering from Tommy John surgery...Reached base safely in each of his 5 rehab games with Pawtucket from 4/8-14, making 4 starts at catcher and going 6-for-13 (.462) with a double, 7 BB, 2 RBI, and a .650 OBP. Was activated from the 15-day DL on 4/15, starting that day vs. TOR...Was his 1st ML game since 9/27/14 vs. NYY...Went 2-for-4 with a double and 2 runs scored, also picking off a runner at 1B. Broke a 6-6 tie with a 2-run HR off Dellin Betances in the 7th inning on 5/1 vs. NYY...Was his 1st HR since 9/25/14. Optioned to Pawtucket on 7/5 and remained with the PawSox until being recalled to the big league club on 9/5... Appeared in 6 more ML games (2 starts), going 2-for-8 with a double. Caught all 10 innings of the Sox' 3-2 win at TB on 9/25, when BOS set a franchise record with 23 SO...The Sox set a ML record by striking out 11 consecutive batters faced, from the 2nd out of the 4th inning through the final out of the 7th. Started 41 games at catcher for the PawSox, throwing out 11 of 24 (46%) attempted base stealers...Hit .291 (32-for-110) with a .358 OBP vs. RHP...Batted .314 (22-for-70) with a .377 OBP in 19 August games in the minors. Following the season, played for Santurce in the Puerto Rican Winter League...Hit .237 (23-for-97) with 2 HR in 28 regular season games...Started each of the club's 13 postseason games (DH-7, C-6), batting .405 (17-for-42, 11 RBI, 5 R, 4 2B, 2 3B, 6 BB, HBP)...Threw out 2 of 3 attempted base stealers and picked off a runner at 1B in the postseason. POSTSEASON: Named to the Red Sox' ALDS roster vs. CLE but did not appear in a game. Missed the season recovering from Tommy John surgery on his right elbow...Procedure was performed on 4/2 by Dr. James Andrews in Pensacola, FL. Was originally placed on the 60-day DL on 3/30 with a right elbow sprain...Sustained injury in spring training. Returned to game action in the Fall Instructional League in September/October...Served only as DH (did not catch). Following the season, hit .254 (32-for-126, 6 2B, 3B, 12 RBI) in 34 games between Mayaguez and Santurce of the Puerto Rican Winter League, including the postseason...Served only as a DH (did not catch). Played 55 games for the Red Sox, his 1st career ML action, including 54 games at catcher (50 starts)...Took over as the club's regular catcher after July recall...Reached base safely in 40 of his 50 starts for BOS, hitting .240 (42-for-175) with 9 2B, HR, 20 RBI, and 19 BB...Threw out 51.7% of attempted base stealers (15 of 29), best in the majors among catchers with at least 50 games behind the plate...Was the best such mark in Red Sox history (since CS began being tracked in the AL in 1920)...Did not benefit from a pitcher caught stealing, making his 51.7% catcher caught stealing rate the best among major leaguers with at least 50 games behind the plate since STL's Yadier Molina in 2005 (54.8%; 17 of 31)...Was the best such mark by a rookie catcher since CCS began being tracked in 1974...Posted a team-best 4.04 catcher's ERA...His 54 games, 50 starts, and 458.1 innings at catcher all ranked 2nd on the team to A.J. Pierzynski (64 games, 60 starts, 540.0 inn. )...Had 4 pickoffs, the most by a Red Sox catcher in a season since Rich Gedman had 4 in 1985...Hit .286 (20-for-70) at Fenway Park compared to .210 (22-for-105) on the road...Went 7-for-24 (.292) with 5 walks with 2 out and runners in scoring position...Began the year with Triple-A Pawtucket, hitting .273 (68-for-244) with 17 2B, 3 HR, 20 RBI, 35 R, and 21 BB in 66 games...Threw out 39.6% of attempted base stealers (19 of 48)...Named a Mid-Season International League All-Star and was also selected to the 2014 SiriusXM All-Star Futures Game...Did not participate in either contest...Recalled 7/9 and made his ML debut that night, starting behind the plate in a 5-4 win vs. CWS...Started 50 of Boston's 72 remaining games following his recall...The Red Sox won his first 5 career starts from 7/9-21, over which Red Sox pitchers allowed only 9 runs...Was the 1st Red Sox ever to start as a catcher and win each of his first 5 major league games, and the 1st AL player to do it since MIL's Bill Schroeder in 1983 (Source: Elias)...Went 3-for-4 with 2 R, 2 2B, and 3 RBI in his 2nd ML game on 7/11 at HOU...Was the fastest Red Sox to a 3+ hit game since Nomar Garciaparra's on 9/1/96 at OAK (2nd game, 3 H)...Appeared in 13 of the club's last 14 games beginning on 9/12 (11 starts)...Hit safely in 8 of his last 9 starts (.400, 12-for-30, 2 2B, HR, 5 RBI, 4 BB)...Went 4-for-4 with a double and his 1st ML home run on 9/25 vs. TB...The homer was a 2-run, go-ahead shot off Jeremy Hellickson in the 2nd inning...Was the 1st Red Sox rookie catcher with 4 or more hits in a game since Scott Hatteberg had 4 hits on 8/8/97 vs. KC...Following the season, played 33 games for San Juan of the Puerto Rican Winter League...Ranked 9th among qualifiers with a .288 AVG (32-for-111) and had 6 2B, HR, 12 RBI, 10 BB, and a .365 OBP...Tied for the league lead among catchers with 10 CS (21 attempts, 47.6%)...Was named by Baseball America as the best defensive catcher in the International League in 2014. Led Double-A Portland with a .289 AVG (99-for-342) and was named team MVP. Including 1 game with Triple-A Pawtucket, ranked 5th among full-season Red Sox minor league qualifiers with a career-best .287 AVG (99-for-345)…Also posted a career-high .375 OBP. Ranked 9th in AVG among Eastern League qualifiers…Had the 4th-highest ratio of plate appearances per strikeout (9.1). Topped Eastern League backstops throwing out 46.5 percent (47 of 101) attempted base stealers…Also led EL catchers in total chances (871), putouts (781), and assists (tied, 80). Named Red Sox Minor League Defensive Player of the Month for April (11 CS in 16 G). Reached in all 5 PA on 5/22 vs. New Hampshire (4-for-4, 2 2B, 3B, HR, 2 RBI, BB). Started behind the plate for the Eastern Division in the Eastern League All-Star Game on 7/10 in New Britain. Posted a season-long 12-game hitting streak from 7/31-8/16 (.429 AVG, 21-for-49, 3 2B, 7 RBI)…Matched the longest hit streak by a Sea Dog all year. Hit .347 (50-for-144) after the All-Star break…Promoted to Triple-A Pawtucket on 9/1, where he made his Triple-A debut the next day in the PawSox' regular season finale. Hit .273 (3-for-11) with 2 RBI and 2 walks in 3 playoff games for Pawtucket. 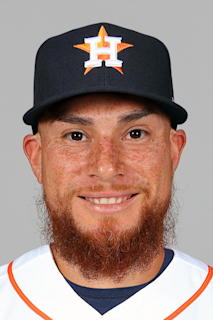 After the season, played for Santurce of the Puerto Rico Winter League and led the league with 32 games behind the plate…Threw out a league-best 63.0% (17 of 27) of attempted base stealers. Following the season, ranked by Baseball America as the best defensive catcher in the Red Sox farm system for a 3rd straight year…Also named the best defensive catcher in the Eastern League. Played the majority of the year with High-A Salem, where he was a Carolina LeaguePost-Season All-Star...Also made his Double-A debut with 20 games for Portland. Combined to throw out 49 of 122 base stealers (40.2%), including a Carolina League-best 41.9 percentage(44 of 105)...Also topped the circuit with 110 assists at the position.Led the Red Sox system with 96 games caught.Named Red Sox Minor League Defensive Player of the Month for June after throwing out 10 of 23 attemptedbase stealers (43.5%).Combined to set a single-season career-high with 48 walks, including 8 walks compared to 9 strikeouts in Double-A.Recalled for Double-A debut on 8/3...At time of transfer, ranked 13th in the Carolina League with a .360 OBP.Over his last 28 games with Salem from 6/23-8/2, led the Carolina League in AVG (.353) and OBP (.455), andranked among CL leaders in SLG (5th, .598) and OPS (3rd, 1.053).Notched 4 straight multi-hit games from 6/23-28 and again from 7/4-9.Batted .291 (51-for-175) over his final 48 games of the season beginning 6/23.Following the season, hit .257 (9-for-35) with 8 walks in 10 games for Surprise in the Arizona Fall League...Then played 9 contests for Manati of the Puerto Rico Winter League, going 7-for-24 (.292) with 2 doubles, atriple, and a homer. Spent the year with Single-A Greenville and was named Red Sox Minor League DefensivePlayer of the Year.Threw out 37 of 111 (33.3%) of opposing base stealers and posted a .991 fielding percentage (9 E/904 TC)...Led South Atlantic League catchers in chances (904), putouts (788), and assists (108).Reached single-season career-highs in homers (18) and RBI (84)...His 84 RBI led the Drive and ranked 4thamong Red Sox minor leaguers.Also paced the Drive with 18 homers and ranked among club leaders in at-bats (3rd, 392), hits (2nd, 111),doubles (T-2nd, 27), and walks (T-2nd, 43).Named SAL Player of the Week from 6/20-26 (.467, 7-for-15, 4 HR) and from 8/29-9/4 (.381, 8-for-21, 3 HR).Selected as the Red Sox Minor League Defensive Player for July.Following the season, was rated byBaseball America as best defensive catcher in the SAL and in Red Sox system.After the season, played in 3 games with Indios de Mayaguez of the Puerto Rico Winter League. Played his 1st full season with Single-A Greenville and led the club with 60 gamesbehind the plate...Threw out 31 of 76 (40.8%) attempted base stealers.Made his 1st pro appearances at 1st base (3 games) and 2nd base (1).Hit 1st career grand slam on 4/17 at Lexington (KC).Hit .370 (20-for-54) during a 14-game hit streak from 5/31-7/3.Went 5-for-21 (.238) with 3 doubles and 2 RBI in 6 playoff games for the Drive. Split the year with 31 games between the Rookie-level Gulf Coast Red Sox and ShortA Lowell.Combined for 21 games at catcher, 9 at 3rd base, and 1 at DH.Threw out 6 of 26 (23.1%) attempted base stealers.Began the year in the GCL before transferring to Lowell on 7/8.His 1st hit for the Spinners was a game-tying pinch-hit homer in the 9th inning on 7/9 vs. Tri-City (HOU). Led the Gulf Coast League Red Sox with 21 games caught in his pro debut.Threw out 5 of 32 (15.6%) attempted base stealers. September 1, 2018 Boston Red Sox activated C Christian Vazquez from the 10-day injured list. August 28, 2018 Boston Red Sox sent C Christian Vazquez on a rehab assignment to Pawtucket Red Sox. August 27, 2018 Boston Red Sox sent C Christian Vazquez on a rehab assignment to Portland Sea Dogs. July 8, 2018 Boston Red Sox placed C Christian Vazquez on the 10-day disabled list. Right fifth finger fracture. September 5, 2016 Boston Red Sox recalled C Christian Vazquez from Pawtucket Red Sox. July 5, 2016 Boston Red Sox optioned C Christian Vazquez to Pawtucket Red Sox. April 15, 2016 Christian Vazquez roster status changed by Boston Red Sox. April 6, 2016 Boston Red Sox sent C Christian Vazquez on a rehab assignment to Pawtucket Red Sox. November 18, 2015 C Christian Vazquez assigned to Cangrejeros de Santurce from Indios de Mayaguez. November 6, 2015 Boston Red Sox activated C Christian Vazquez from the 60-day disabled list. October 29, 2015 C Christian Vazquez assigned to Indios de Mayaguez. November 10, 2014 Senadores de San Juan activated C Christian Vazquez. October 30, 2014 C Christian Vazquez assigned to Senadores de San Juan. October 30, 2014 Senadores de San Juan placed C Christian Vazquez on the reserve list. July 9, 2014 Boston Red Sox recalled C Christian Vazquez from Pawtucket Red Sox. March 17, 2014 Boston Red Sox optioned C Christian Vazquez to Pawtucket Red Sox. November 1, 2013 Christian Vazquez roster status changed by Boston Red Sox. October 31, 2013 C Christian Vazquez assigned to Cangrejeros de Santurce. September 1, 2013 C Christian Vazquez assigned to Pawtucket Red Sox from Portland Sea Dogs. March 15, 2013 Boston Red Sox optioned Christian Vazquez to Portland Sea Dogs. November 20, 2012 Boston Red Sox selected the contract of Christian Vazquez from Portland Sea Dogs. November 8, 2012 C Christian Vazquez assigned to Atenienses de Manati. September 4, 2012 C Christian Vazquez assigned to Surprise Saguaros. August 3, 2012 Christian Vazquez assigned to Portland Sea Dogs from Salem Red Sox. April 4, 2012 Christian Vazquez assigned to Salem Red Sox from Greenville Drive. March 7, 2012 C Christian Vazquez assigned to Boston Red Sox. November 4, 2011 C Christian Vazquez assigned to Indios de Mayaguez. March 20, 2011 C Christian Vazquez assigned to Boston Red Sox. October 22, 2010 C Christian Vazquez assigned to Senadores de San Juan. April 5, 2010 Christian Vazquez assigned to Greenville Drive from Lowell Spinners. November 11, 2009 C Christian Vazquez assigned to Lobos de Arecibo. July 8, 2009 Christian Vazquez assigned to Lowell Spinners from GCL Red Sox.